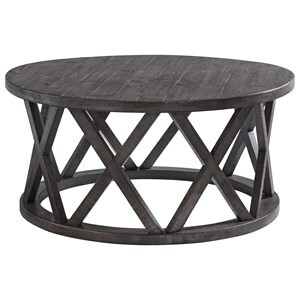 This alluring cocktail table is accented by wicker-rattan woven sides, illustrating the tropical design of this piece. 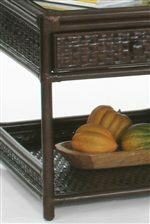 The glass top adds poise and a sophisticated touch to the casual design of the woven wood. 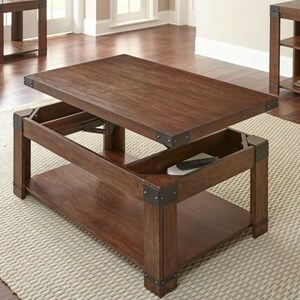 This coffee table also comes with a bench, creating a flawless composition together. The bench is the perfect size to slide underneath the table to save space. The bench has a thick cushion and can be used as an extra comfortable seat in the house or an ottoman to rest your tired legs and feet. 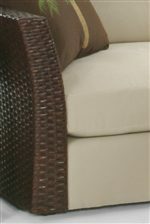 It is also made out of the same rattan material, making the piece as exquisite as it is evocative. 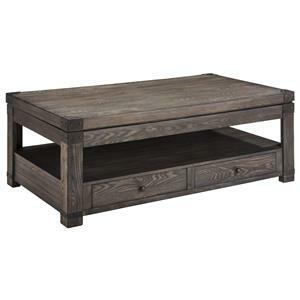 This combination is perfect for the den, sun room, cabin, or any casual living space you want to center with an alluring table. The Grand Water Point Cocktail Table with Upholstered Seat Bench by Vendor 10 at Becker Furniture World in the Twin Cities, Minneapolis, St. Paul, Minnesota area. Product availability may vary. Contact us for the most current availability on this product. Case Detail Sleek rounded edges, tied rattan at the corners. Description: Top Glass table tops. Case Construction Wicker-rattan woven material. Create a home as original and distinctive as you are. The Grand Water Point collection features furniture accented by wicker-rattan woven material, creating a tropical and an uplifting feel. This collection features a sofa, an end table, and a cocktail table with bench, all created to compliment each other or stand alone creating an evocative accent. The radiant design is complemented by glass table tops, rattan tied corners, and smooth round table legs. The sectional sofa and three-seater stationary sofa are both available in over 1,000 fabric finishes, allowing you to create a home that reflects your individual taste and lifestyle. 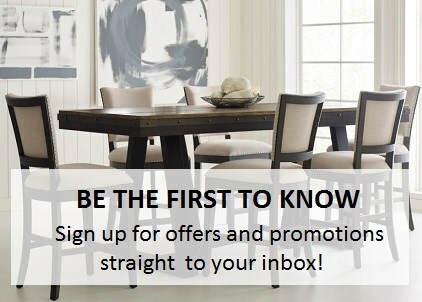 Create a great look for your family room, sun room, porch or cabin. The Grand Water Point collection is a great option if you are looking for Tropical Tropical furniture in the Twin Cities, Minneapolis, St. Paul, Minnesota area. 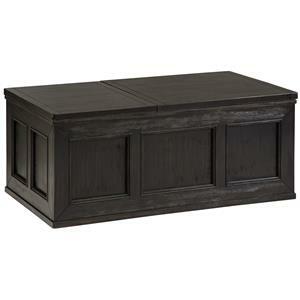 Browse other items in the Grand Water Point collection from Becker Furniture World in the Twin Cities, Minneapolis, St. Paul, Minnesota area.